(This post contains affiliate links, which means I will be compensated if you make a purchase after clicking on the links). So, it often happens that I have just a little tip or tidbit or very short tutorial I want to share with you that doesn't seem "worthy" of a whole post--I know, I know, you're thinking, "There's no way Amber can write a short tutorial!" but I assure you I can! Sometimes. My awesome husband actually came up with this idea, and with his encouragement, I've decided to add yet another weekly feature to the blog: Two-Minute Tuesday. So on Tuesdays I'll be sharing some of those quick tips and ideas in short little posts. 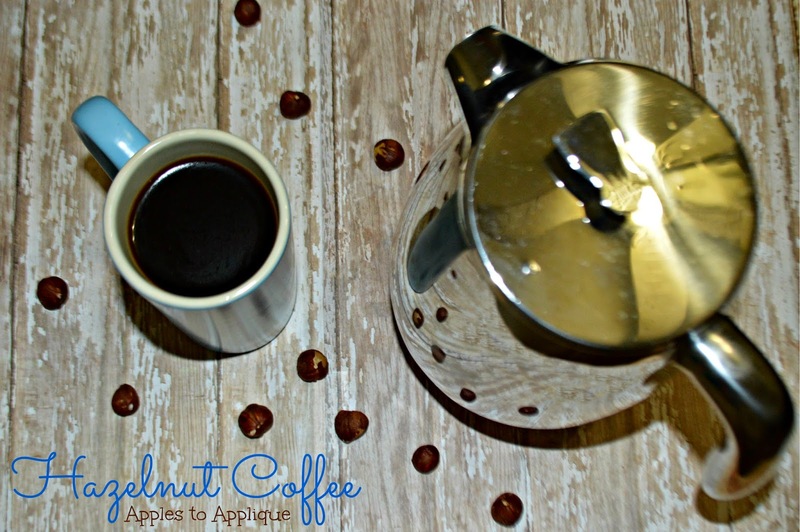 Today I'm sharing how to make hazelnut coffee with actual hazelnuts--none of that flavoring stuff with artificial ingredients. You will need a few hazelnuts and your favorite coffee. First, before brewing your coffee, you need to grind the hazelnuts into a fine powder. You can use a food processor to do this; I prefer using the Magic Bullet . For one pot of coffee, stir 1 tsp of hazelnut powder in with your grounds. You could always add more in the future if you want more flavor, but I would recommend that as a starting point; hazelnuts have a pretty robust flavor. After mixing in the hazelnut powder, brew your coffee as usual, whether in a coffee pot or using our favorite method, the French Press . That's it! Enjoy your delicious hazelnut coffee! Note: If you are starting with ground coffee, grind the hazelnuts on their own and add them to the grounds as mentioned above. If you are using whole beans, toss 3 or 4 hazelnuts in with your coffee beans and just grind them all together. I have only tried this with hazelnuts, but I bet it would be delicious with almonds, pecans, walnuts, or even pistachios! What flavorings do you prefer in your coffee? Linking up with Treasure Box Tuesday, Worthwhile Wednesday, and the Wednesday Roundup. If you enjoyed this post, please subscribe to my email list and follow me on social media; the buttons are at the top-right corner of my blog. Thank you! I'm not a coffee drinker, but I do love hazelnuts. And I have this ground chocolate drink that I make in my french press. I might have to try adding hazelnuts to it! Oooh, that sounds delicious! Hot chocolate is typically my go-to hot drink, and I think hazelnuts would taste awesome with it. I love cocoa in my coffee. It's not only delish, it packs a punch with antioxidants. Yum, I bet that's tasty! And of course the antioxidants are a nice bonus. This reminds me that I need to replace my french press after one of my kiddos was "helping" with dishes and it accidentally broke. Hazelnuts might be the catalyst to get me to the store. Oh no! Gotta love kiddos and their "helping." ;) And I think hazelnuts are a perfectly acceptable reason to go to the store. I'm glad you found it helpful and that you like the new feature. Let me know how you like it when you give it a try! I never thought about grinding and adding hazelnuts directly into my coffee. This sounds good and I'll have to try it out! I am obsessed with coffee. I need to add a french press to my list. 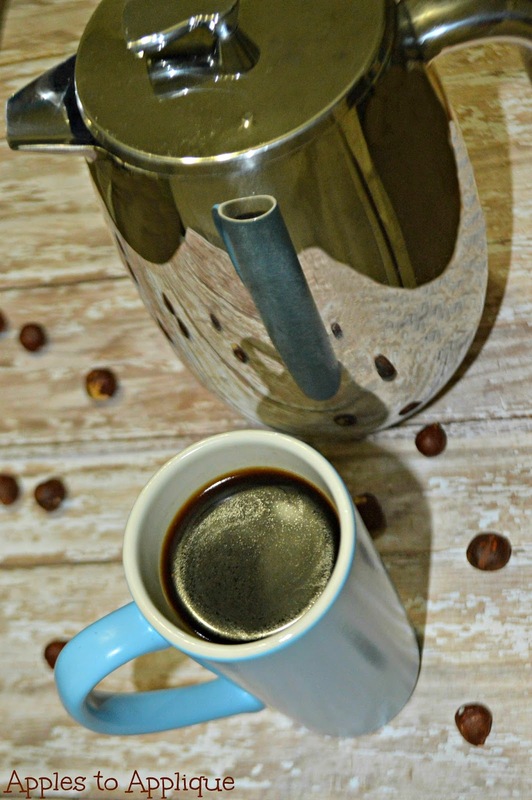 My husband is the real coffee drinker in our house, and he swears by the French press! I don't drink enough coffee to have a preference, but he says it makes the best coffee.